Most of the opposition leaders likely to challenge Yameen in a presidential poll later this year are facing jail sentences. Some have urged India to intervene. MALE: A U.N. rights group said on Monday the detention of two Supreme Court judges in the tiny Indian Ocean archipelago of the Maldives was an attack on the independence of the judiciary and undermined the rule of law. Regional power India has joined Britain, the United States and the United Nations in calling for the lifting of last week's state of emergency and the freeing of the two judges. 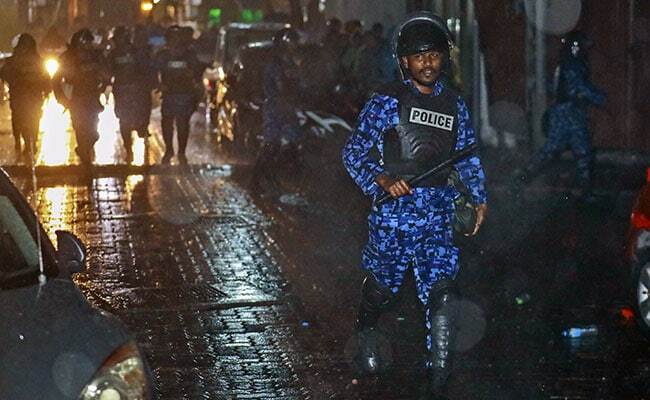 The Muslim-majority Maldives, best known for its luxury beach resorts, has been in crisis since the Supreme Court quashed convictions ranging from corruption to terrorism of nine opposition figures, and ordered the government to release them. President Abdulla Yameen defied the ruling and the judges were arrested. He said he ordered the state of emergency and put down a coup. "This direct attack on the Supreme Court undermines its legitimacy and independence, and casts serious doubt on its ability to protect constitutional principles and to uphold human rights and fundamental freedoms," the U.N. group said in a statement. "It is clear that the rule of law in the Maldives is now under siege. We call on the government to refrain from any threats or interference that may hamper the court's independence as the supreme guardian of the country's constitution and legislation." Police have also arrested former president Maumoon Abdul Gayoom, 80, for his alleged role in soliciting bribes to overthrow the government. A lawyer for Gayoom said that if police had evidence, there was no reason for a state of emergency. "President Gayoom has not even been questioned yet. If this is such a huge investigation and Gayoom is a dangerous person of interest, why have they not questioned him in over 140 hours?" Opposition legislators in the past have complained of authorities targeting them with false allegations. Yameen has denied the accusations. The tumult comes during the peak tourism season in Maldives, which earned $2.7 billion in 2016 from holidaymakers visiting luxury hotels and scuba diving resorts scattered round the myriad tiny tropical islands and coral atolls. "An immediate effect of political developments will be on tourist arrivals," Moody's rating agency said in a statement. Some countries, notably India, China, Singapore and Britain, had already issued travel advisories recommending avoiding all but essential travel to the Maldives, it said. "The U.S. since January has had Maldives on a Level 2 travel advisory, which recommends that tourists exercise caution owing to terrorism risks."